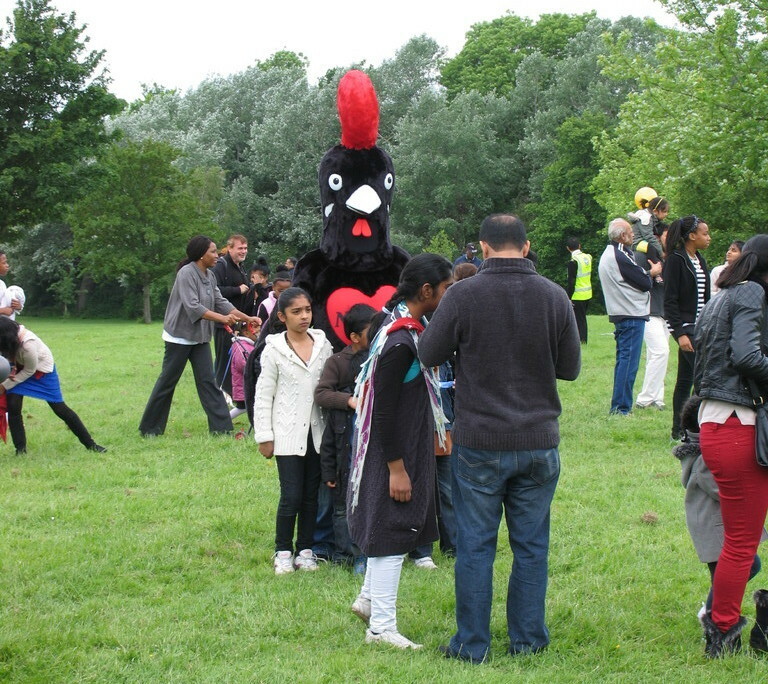 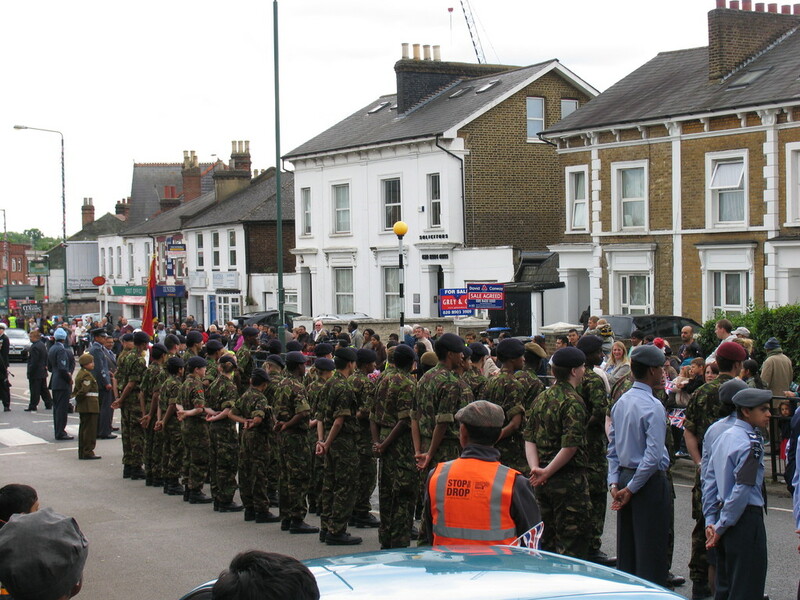 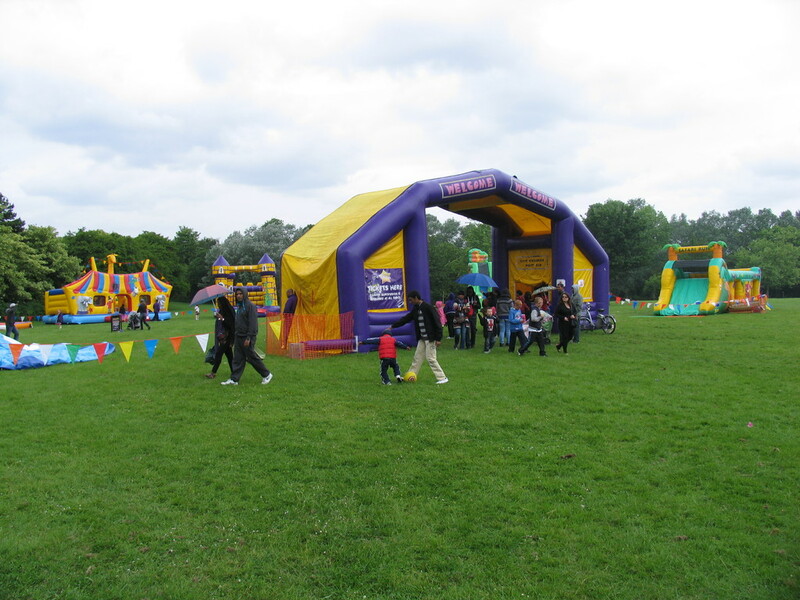 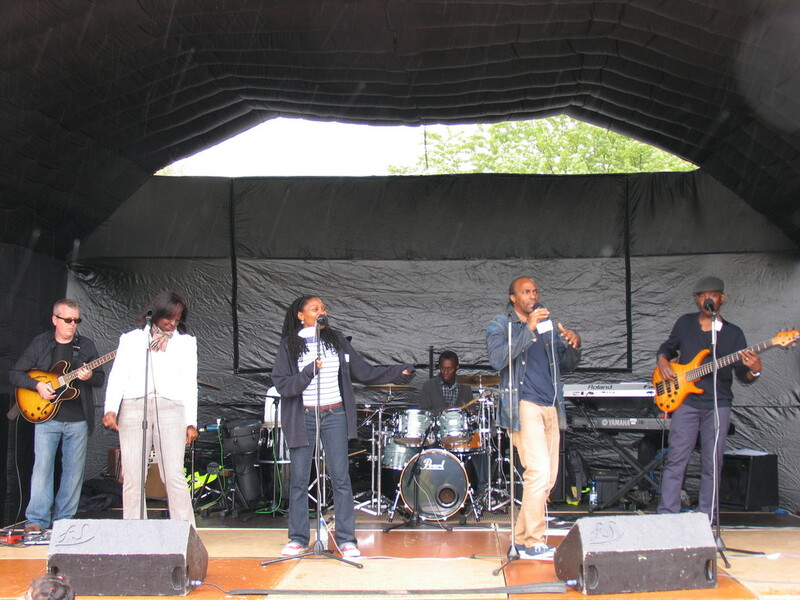 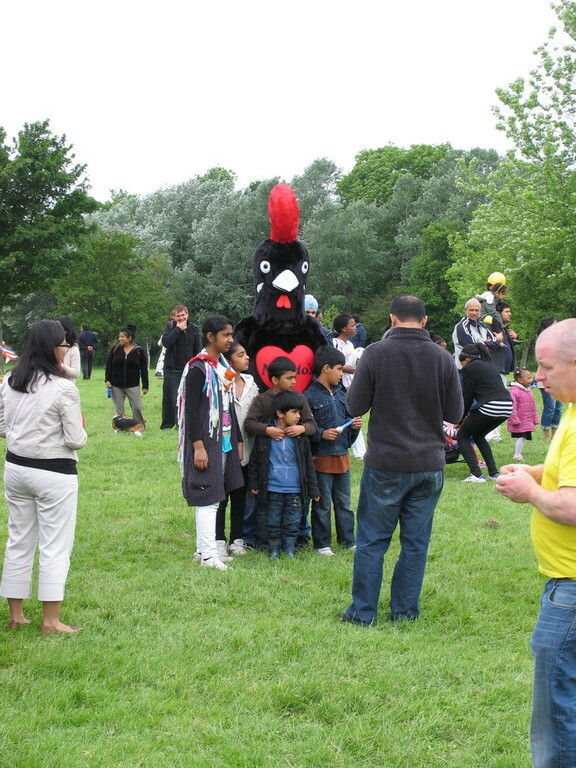 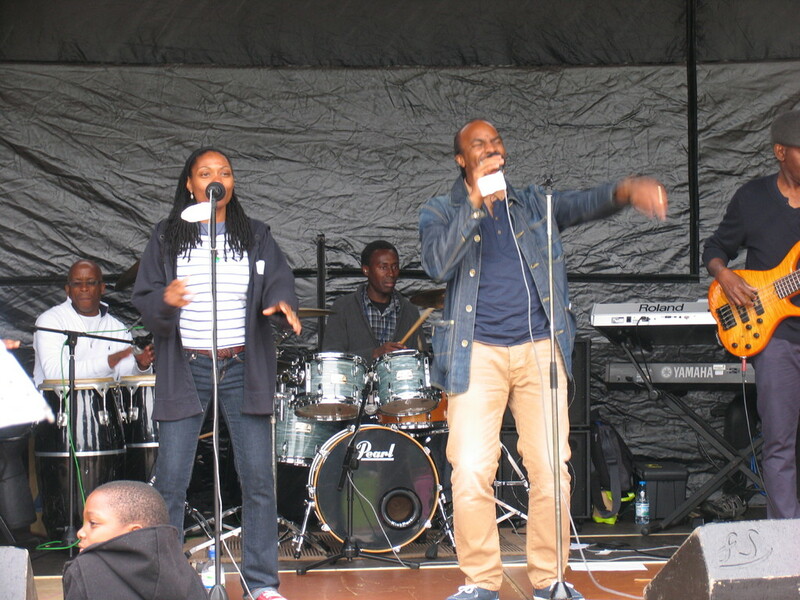 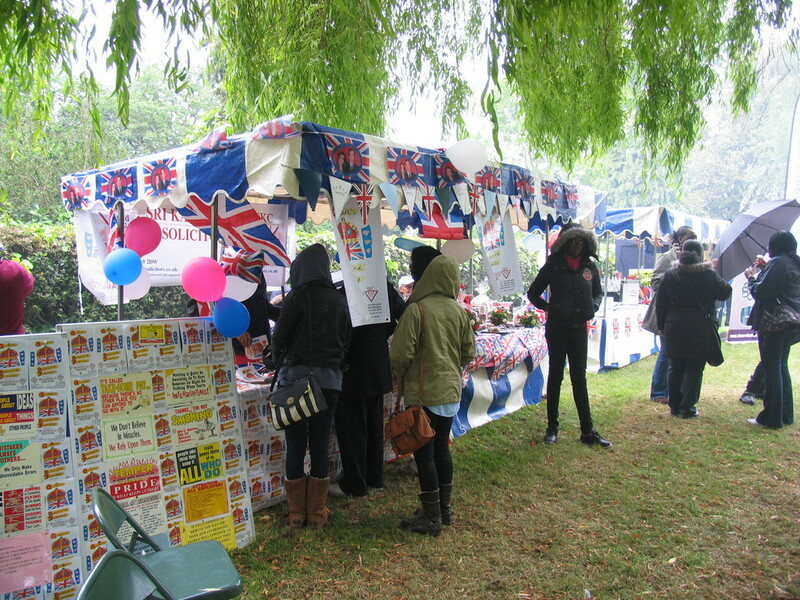 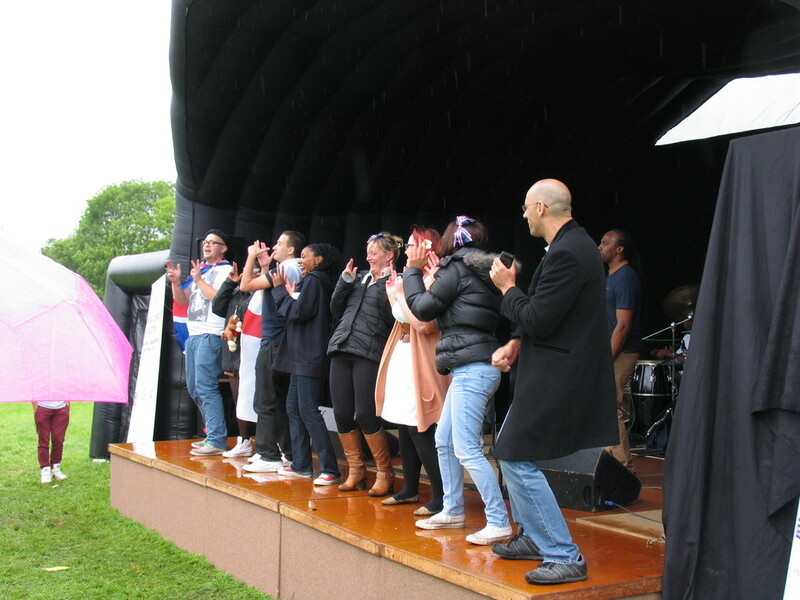 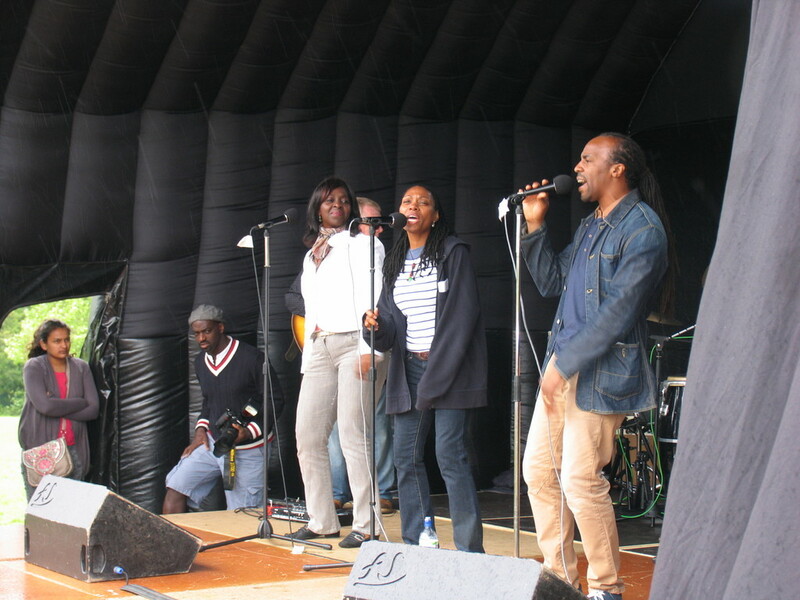 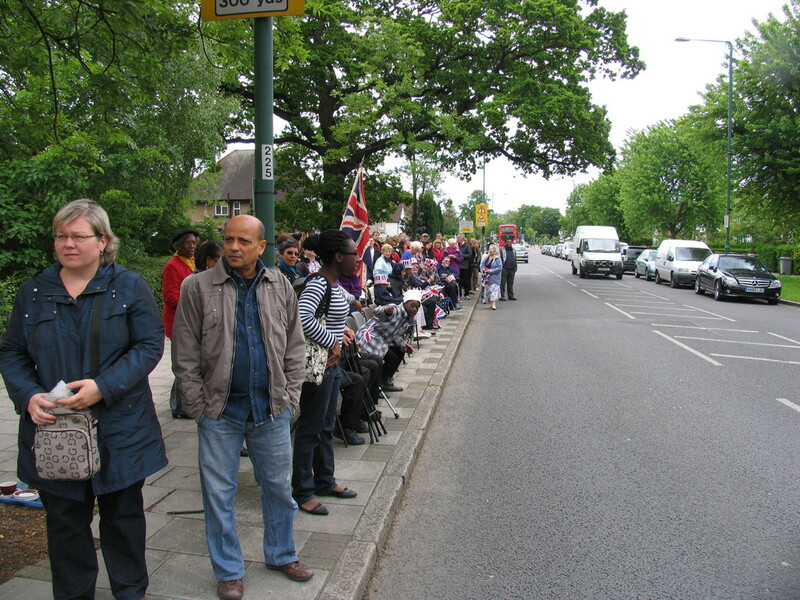 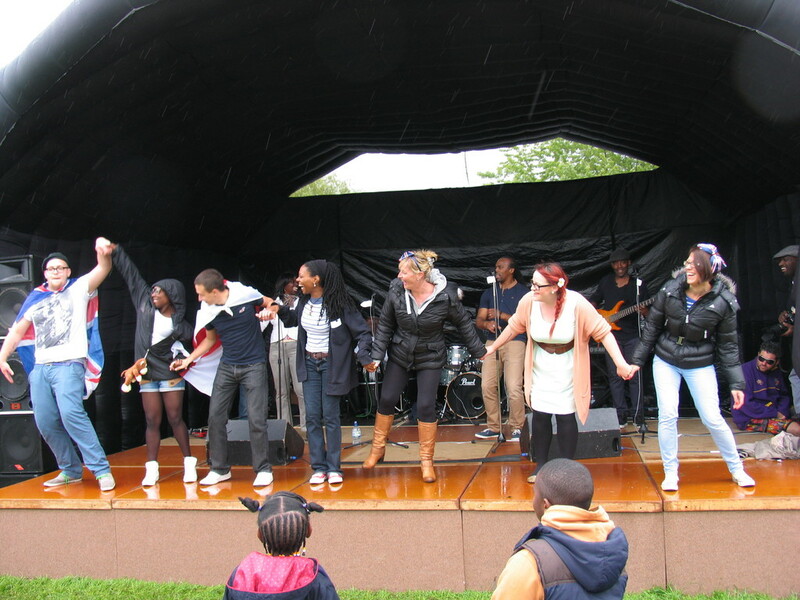 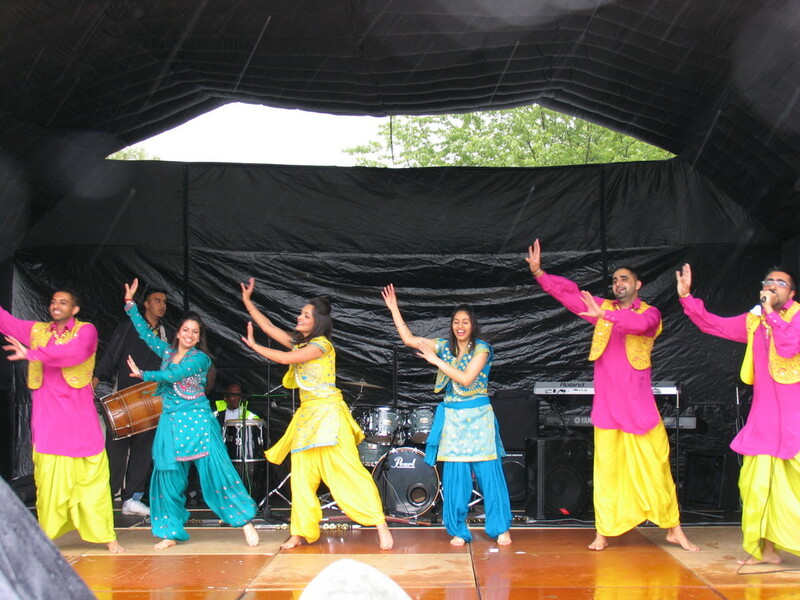 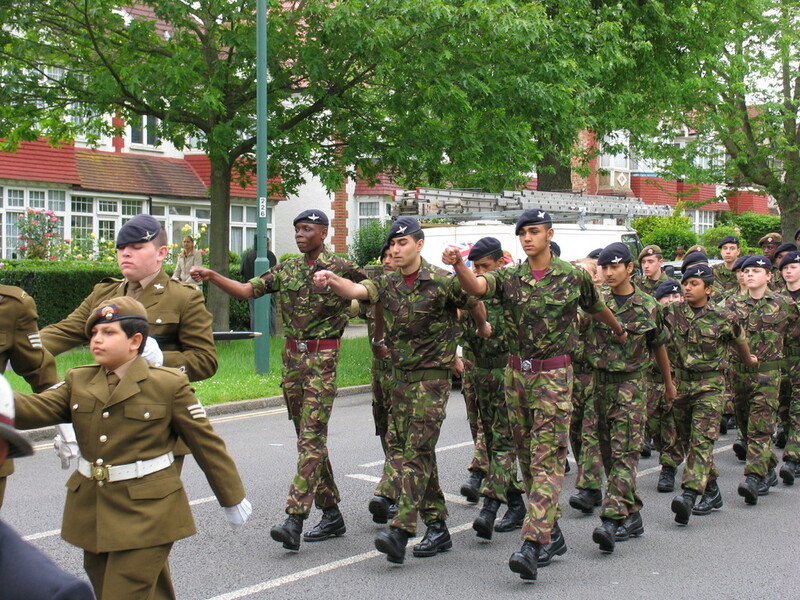 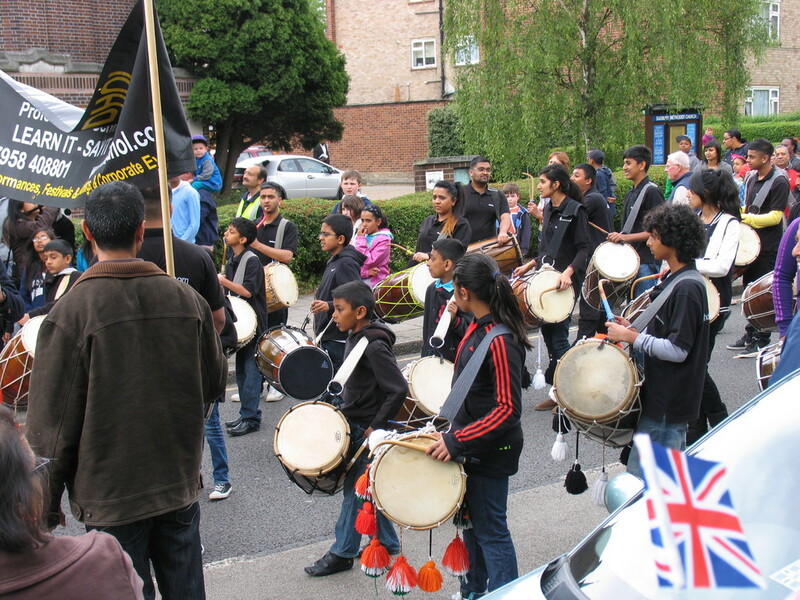 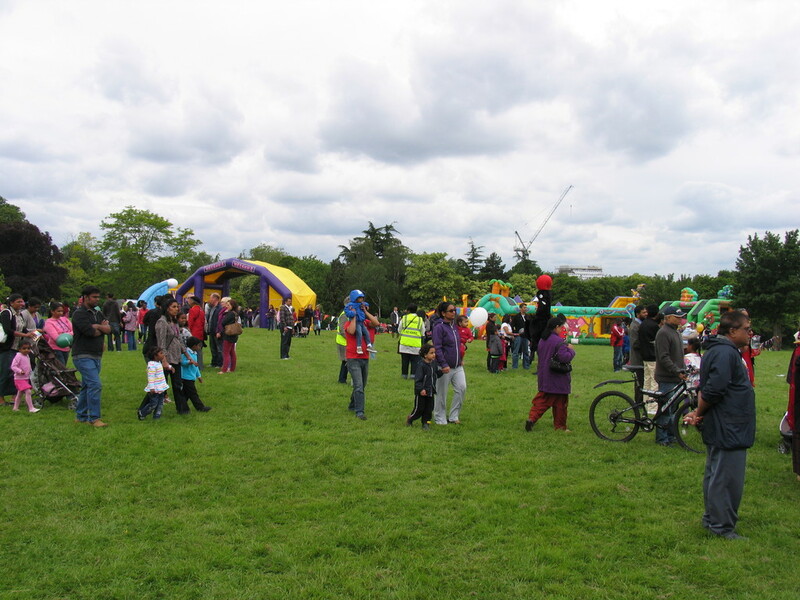 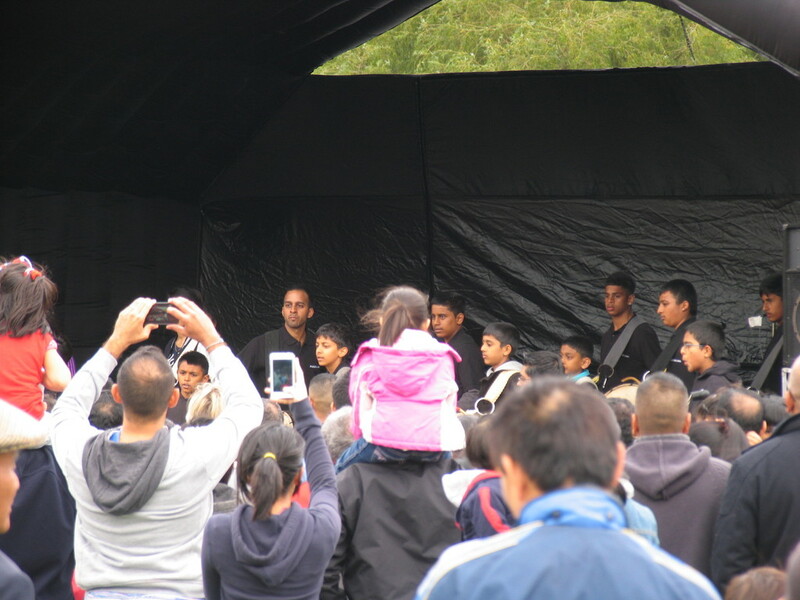 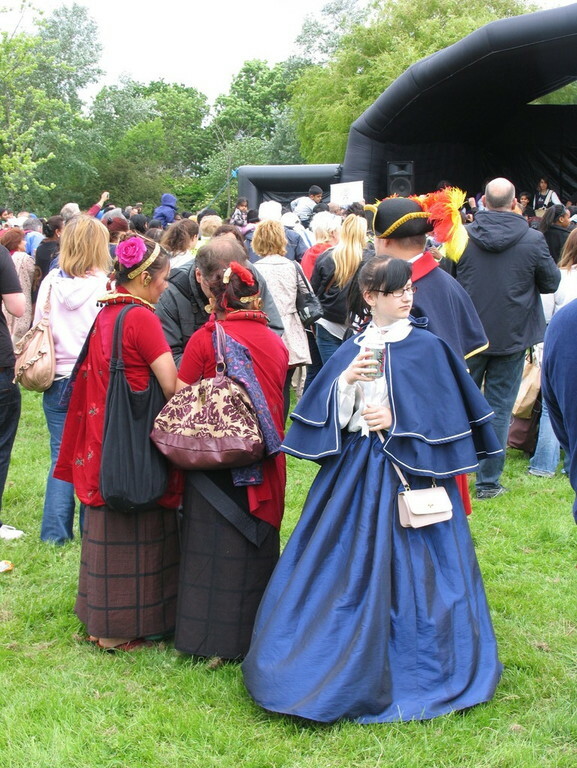 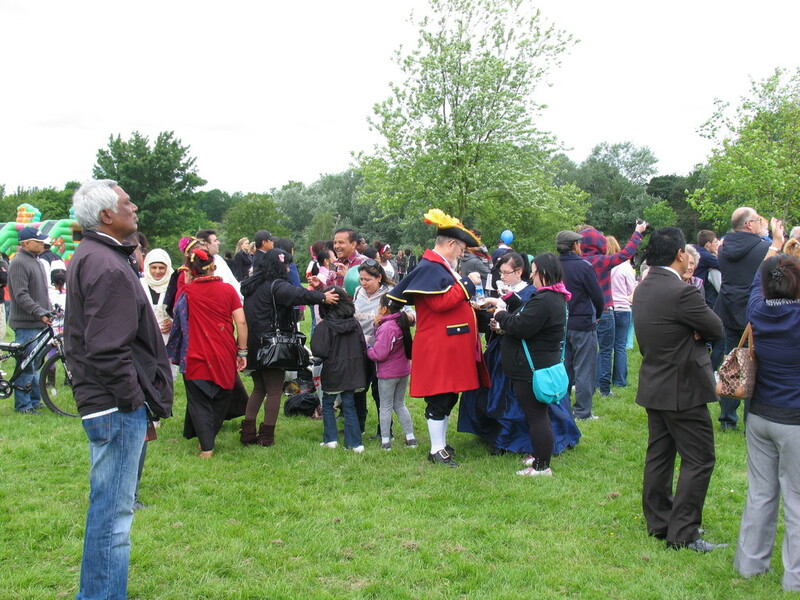 On the 5 June 2012, a day that will go down in the history of Sudbury, a party organised by STRA was held in Barham park to celebrate the Queens Diamond Jubilee. 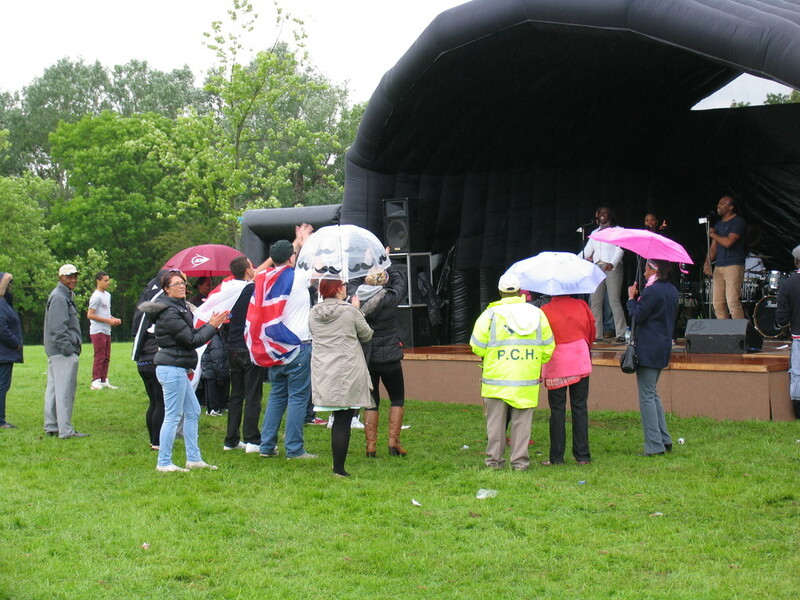 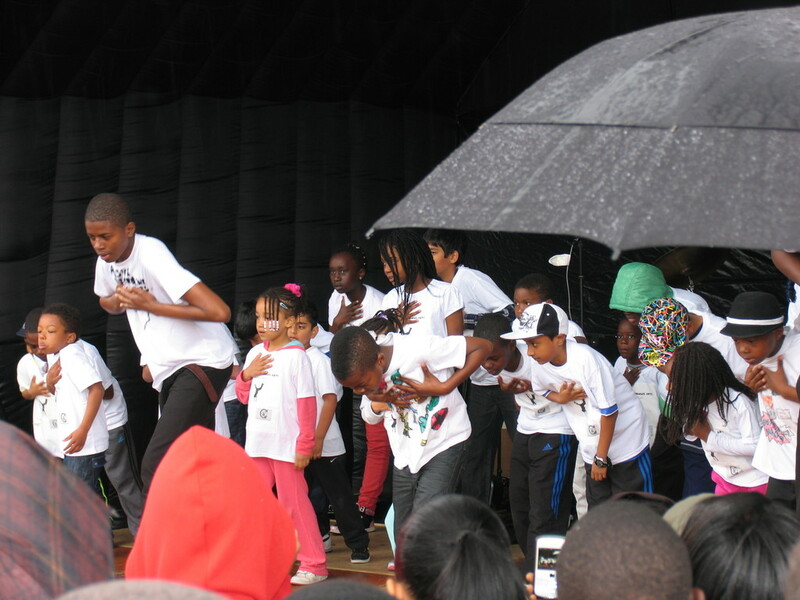 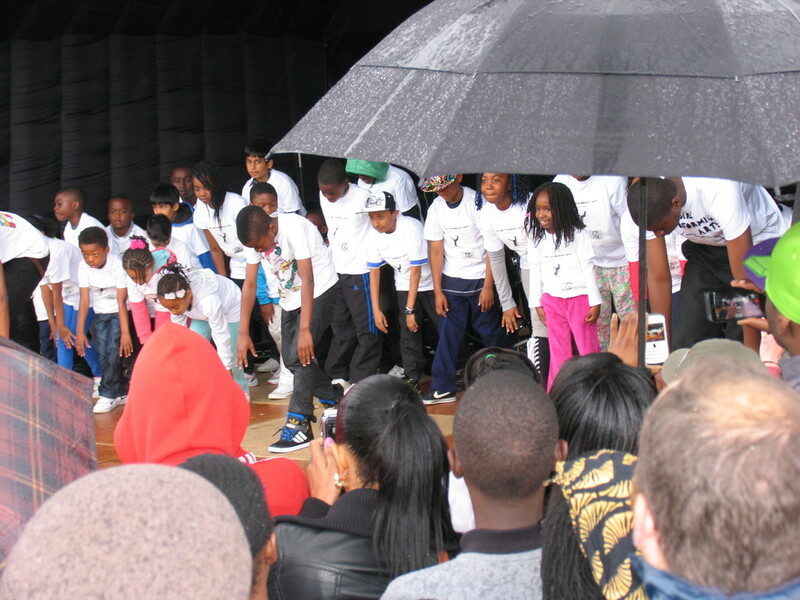 The event was well attended and numbers did not dwindle too much after the rain started. 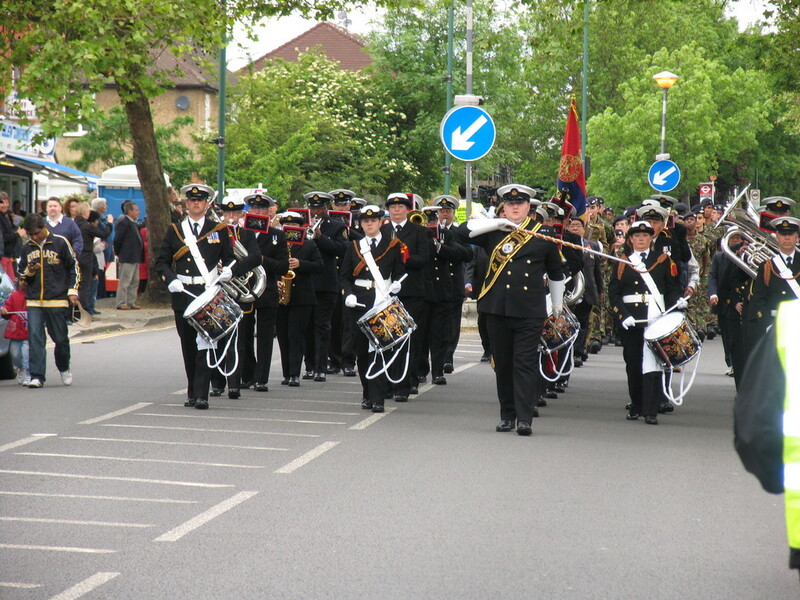 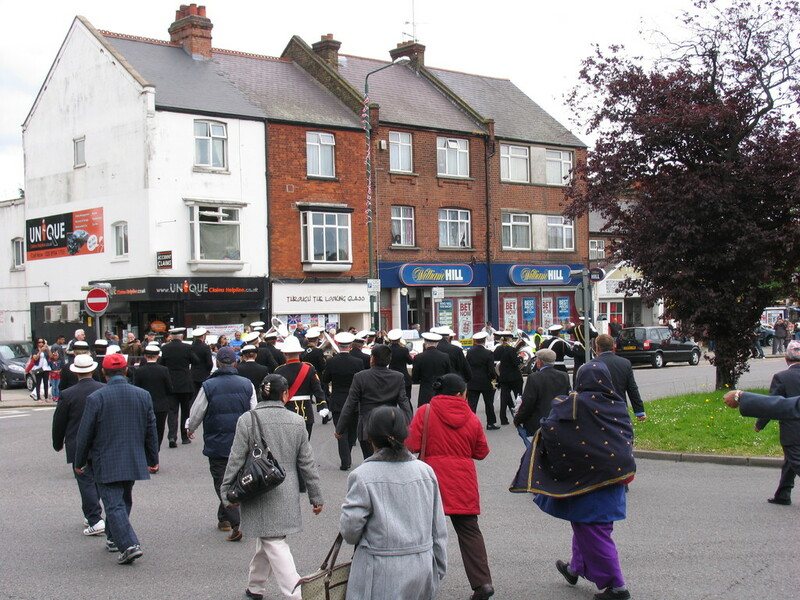 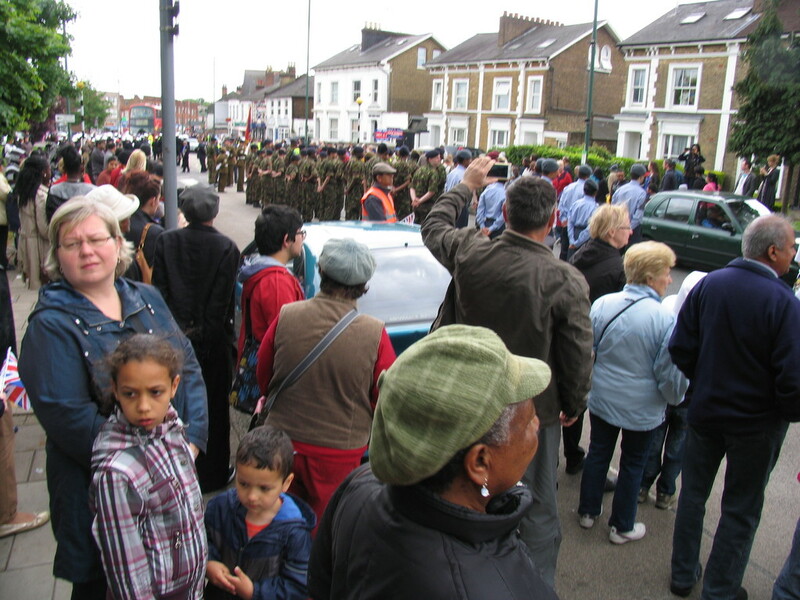 The day began with a parade through the streets of Sudbury followed by the party in the park. 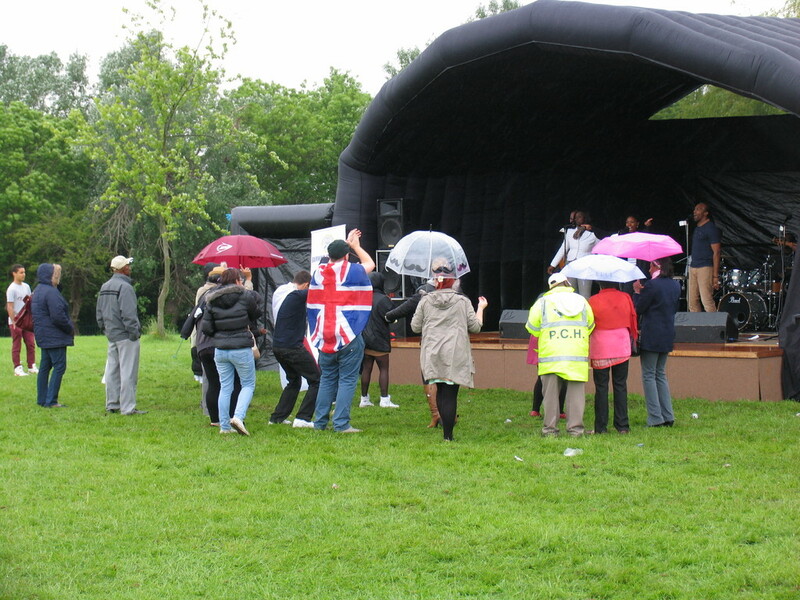 Unfortunately, the fireworks at the end of the day were cancelled due to bad weather. 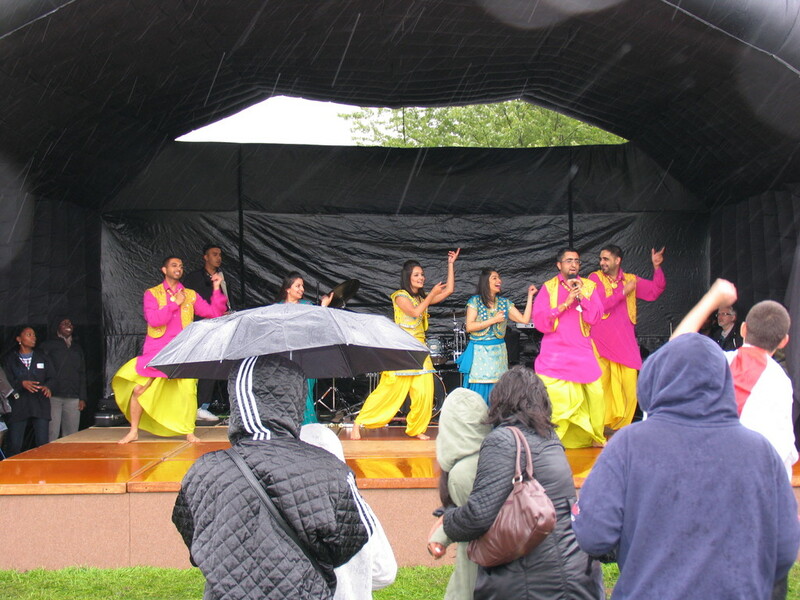 Pictures of the event can be found below. 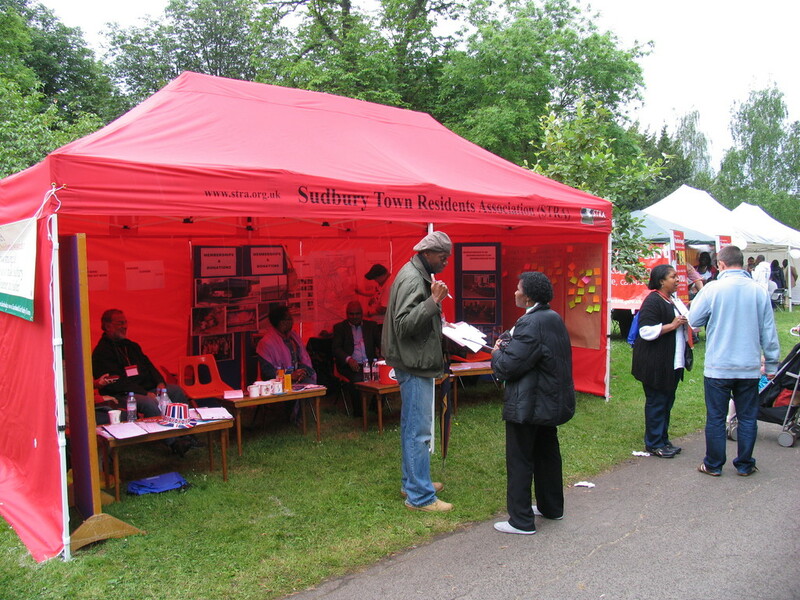 We managed to recruit 25 new members and the petition to improve services to Sudbury Harrow Road Station was signed by many. 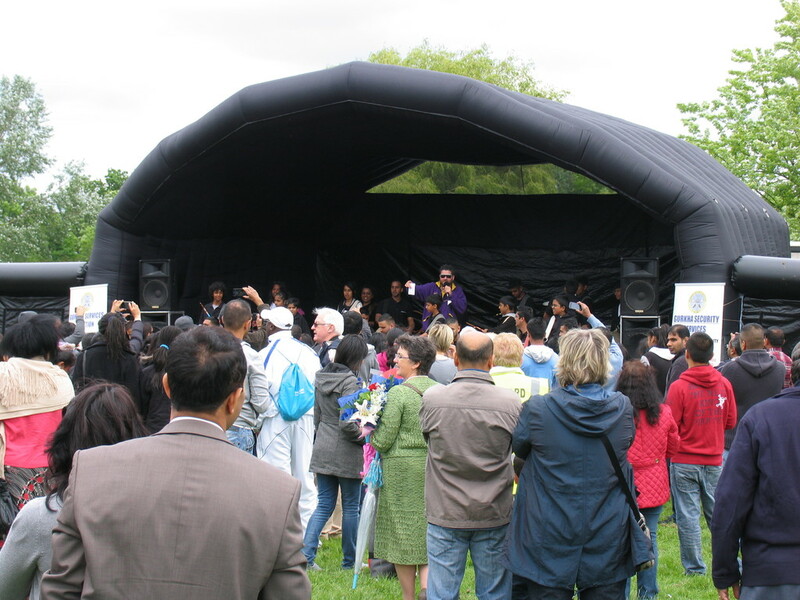 The stage acts prooved very popular as did the numerous stands. 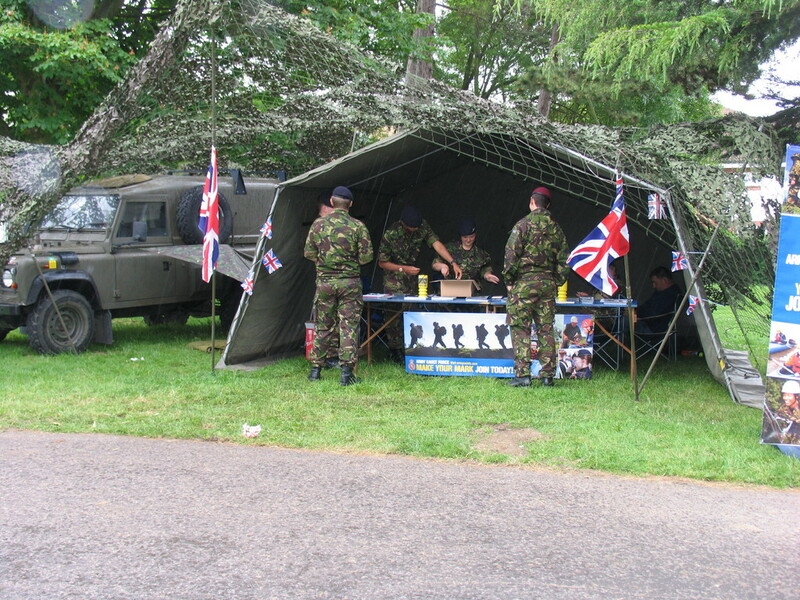 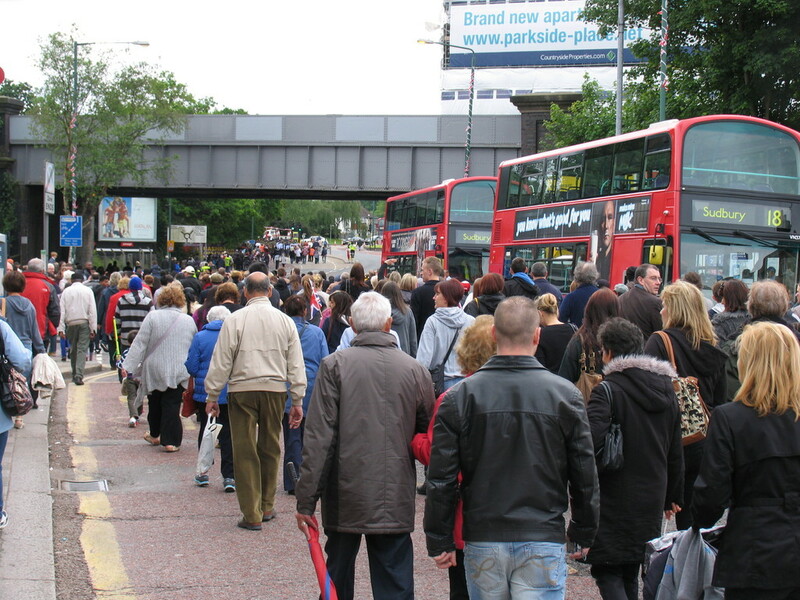 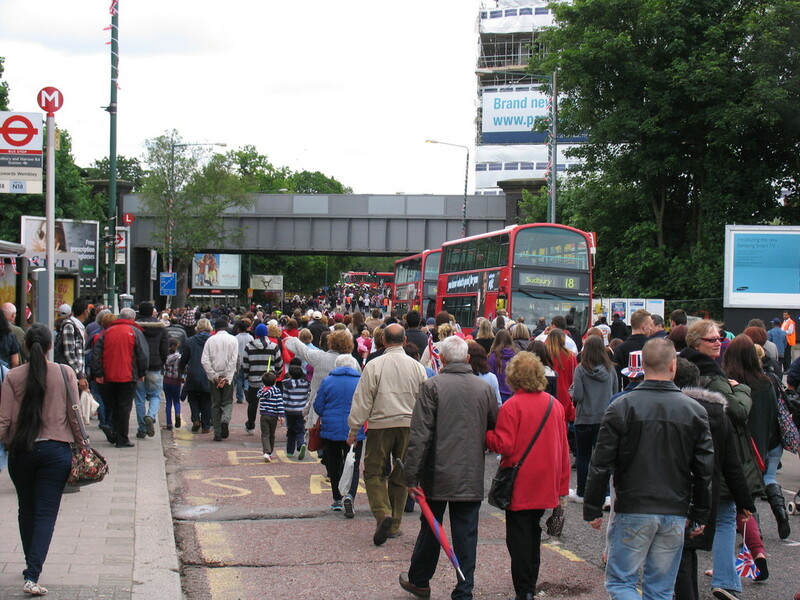 The image below shows the STRA stand. 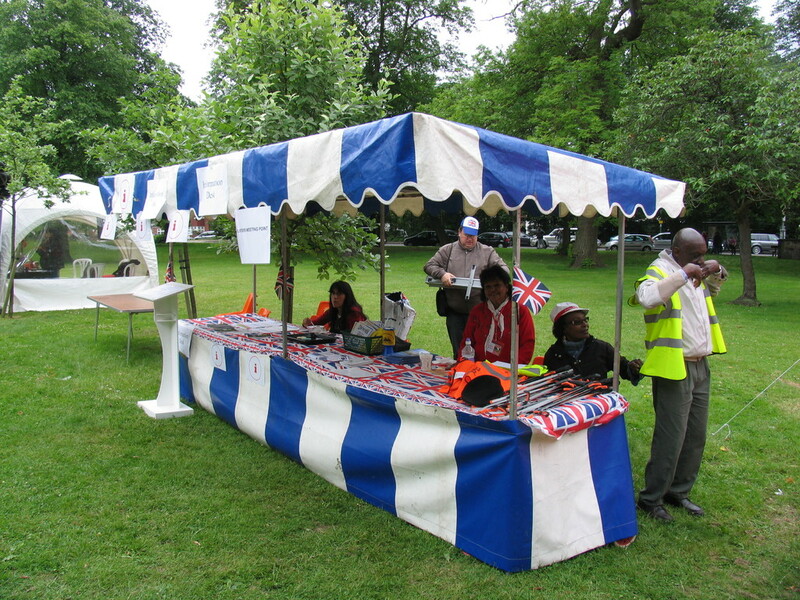 We would like to take this opportunity to thank all our sponsors and the numerous STRA members and other volunteers who ensured the smooth running of the event. 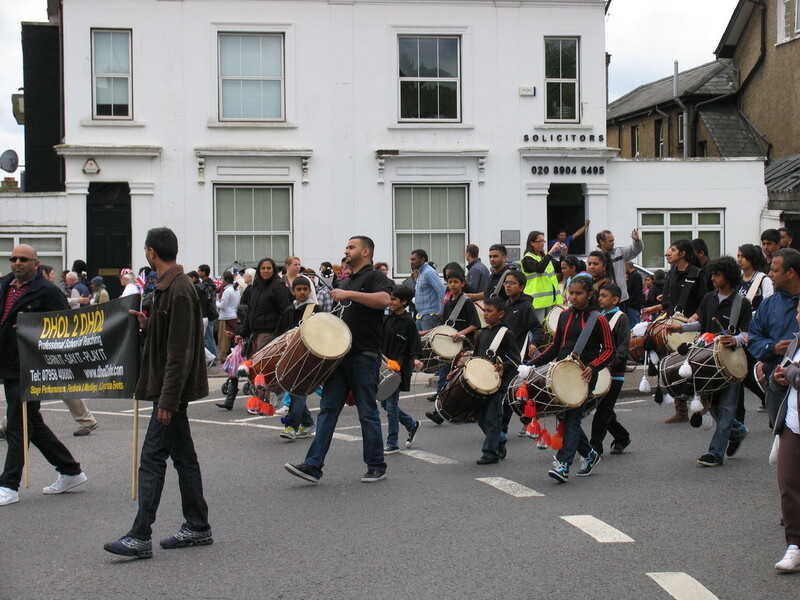 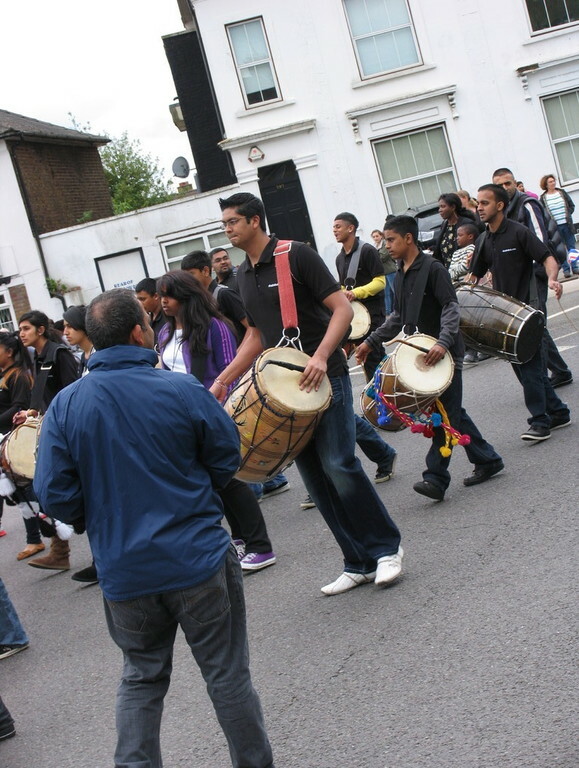 See what the Kilburn times had to say and view more photographs here. 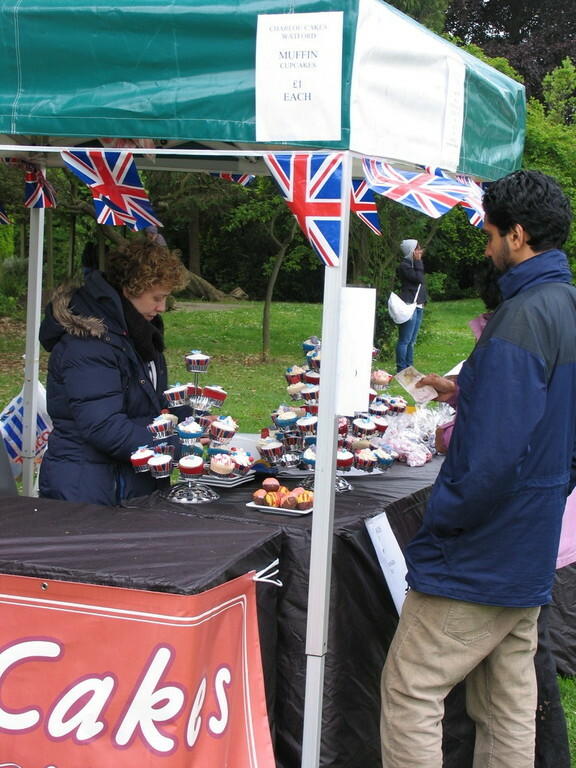 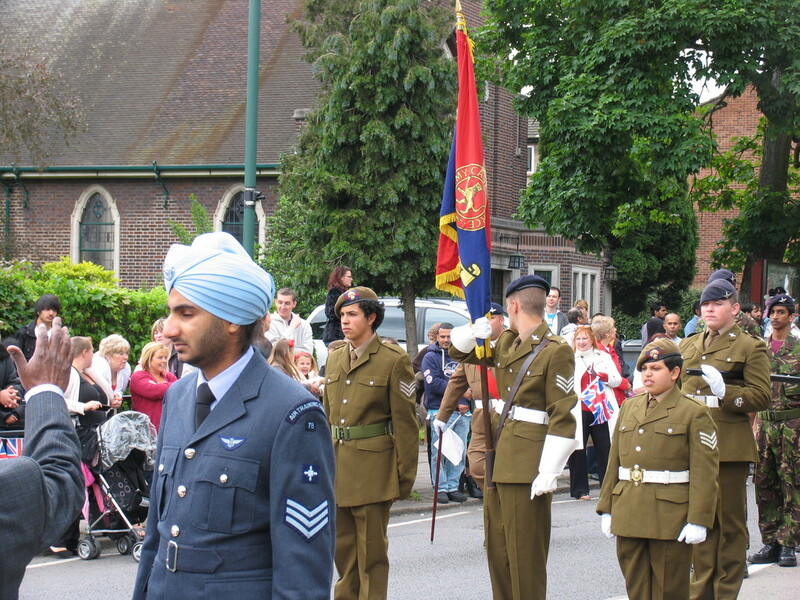 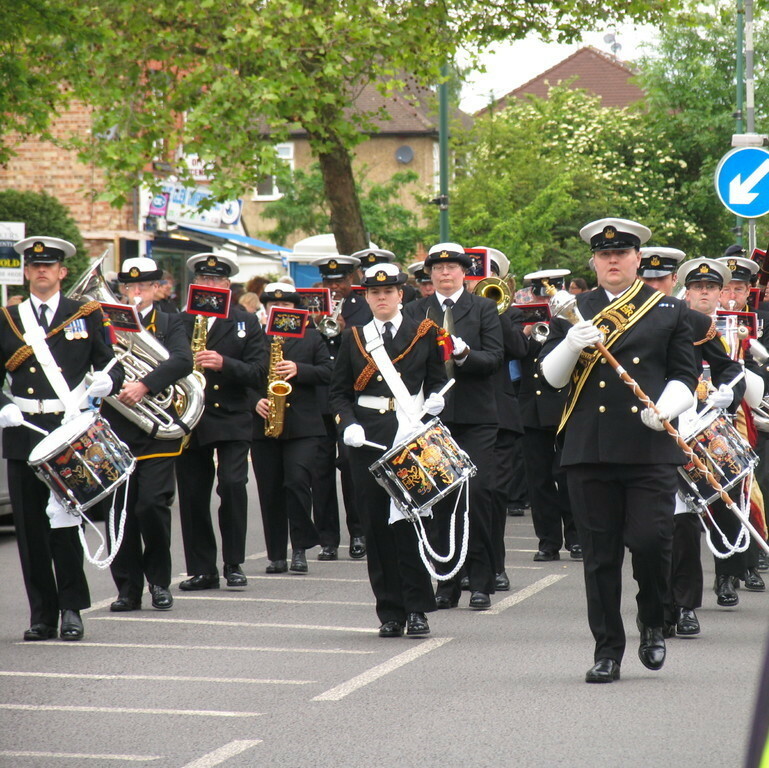 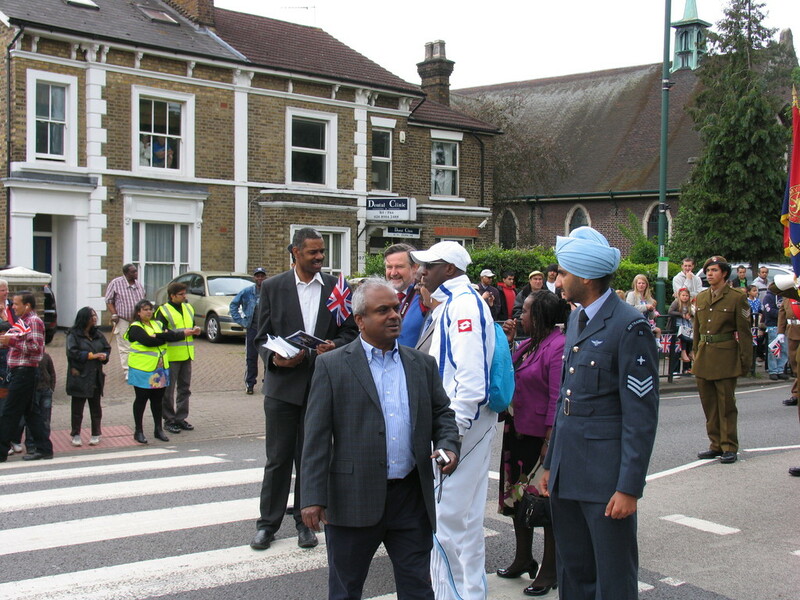 Some photographs of Sudbury Town's Queen's diamond jubilee celebrations. 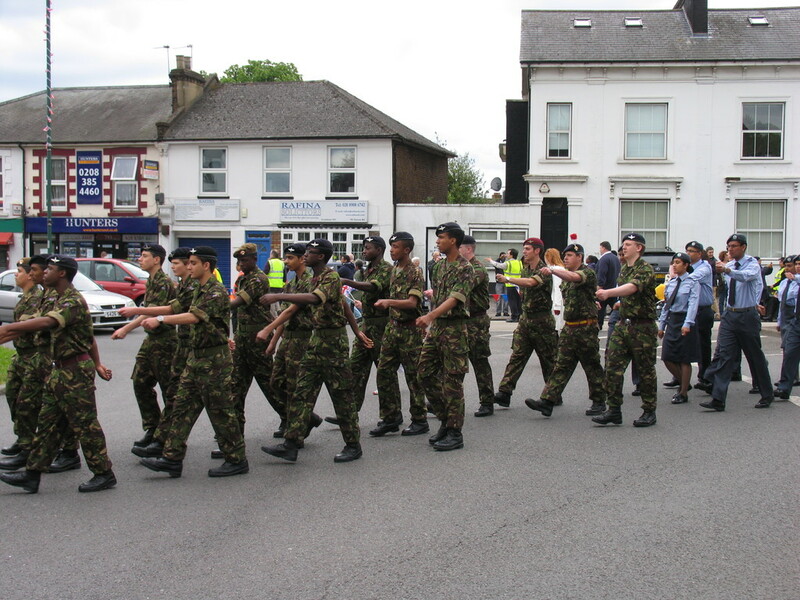 All images copyright STRA. 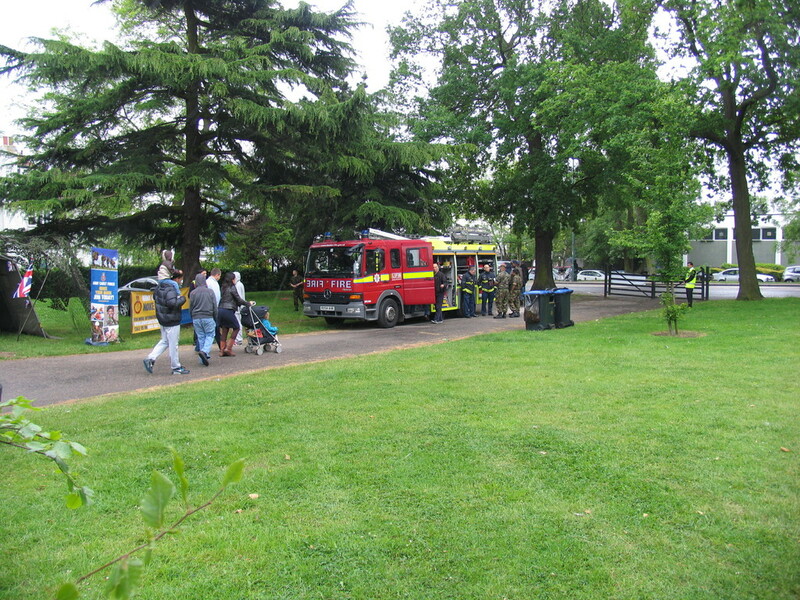 You are free to use these images as long as STRA is acknowledged as the source.